... the thing I made wears a thing I made. that second photo made me smile! 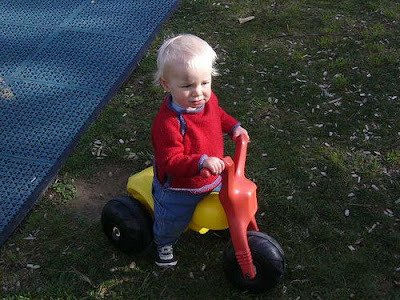 he looks so grown up in his smart red jumper. 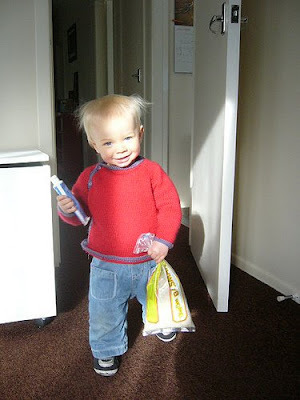 and what more does a little fellow need to face the world than toothpaste and a bag of rice? oh, he looks so grown up, and you've got him unloading the groceries! !